Here is my desk.. but not current. Well until we finish the extension and get it all set up and we move all our stuff back this room becomes my office. I get my big desk back as well which is excellent. 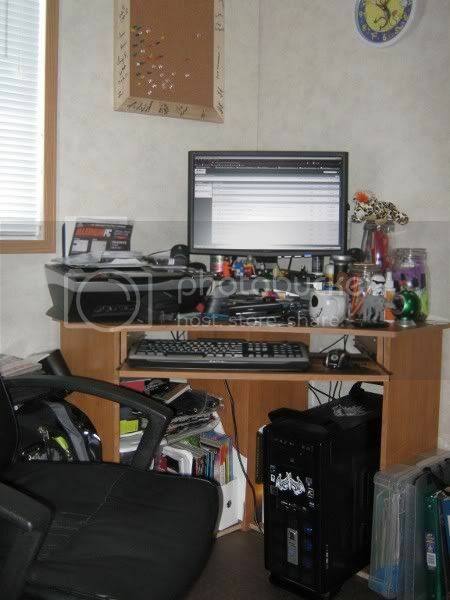 Hahah, that is just like my daughter's desk, except take all the stuff stacked underneath and dump it on the top! lmao i thought my desk was bad. but theres some more worse then mine. thanks mate. my whole place is coverd in fish tanks.